One of the UK’s largest independent drainage companies, UKDN-Waterflow has opened a new depot in Plymouth, creating 19 new jobs. The company, which provides drainage repair services on behalf of some of the UK’s largest insurers, including the Co-operative and RSA, is currently hiring at the newly established depot in Plympton, and has already recruited 14 drainage engineers and 5 back office employees. Over 6 drainage response vehicles will be based at the depot, which will offer UKDN-Waterflow’s full suite of drainage maintenance and repair services which includes no-dig repairs and clean water services, as well as a range of specialist packages aimed at facilities managers, estate agents and loss adjusters. The opening of the Plymouth depot follows several years of steady growth in the region for the company. 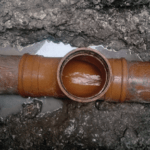 In the wake of the Private Sewers Transfer (PST) last year, which transferred responsibility for most private drains and sewers to local water companies, the company also won a large contract with South West Water. In addition, the business works with several housing associations in the area.  Unlike many drainage companies, UKDN-Waterflow does not operate as a franchise, and directly employs all of its staff. Stewart Hailstone, depot operations manager, said: “Establishing a permanent presence in this region is the latest chapter in the company’s overall expansion and a response to some significant wins in the area. The new depot will be located in the Bell Park Industrial Estate in Plympton.